80/100 #100sareepact is perhaps one of the craziest stories of my sareepact series. The dark maroon wall at the sister’s place became the natural background; the orange & pink neckpieces, and same combinations of lipstick (literally orange and pink) completed my look. 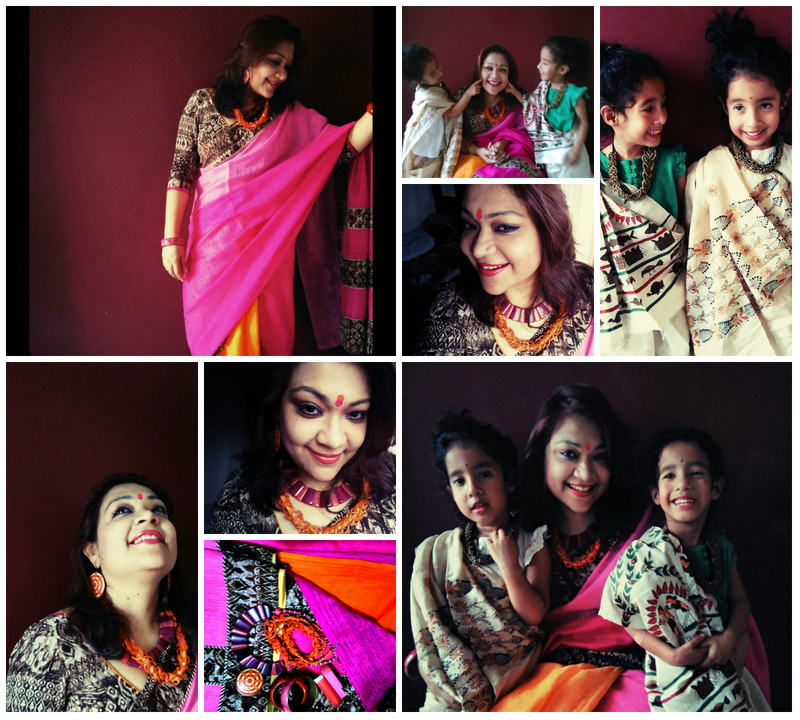 The cute twins draped my dupattas as sarees; one Kantha the other Madhubani work…. Friends, just check these candid shots. Thanks to their evergreen mom for their make-up and quick hair-do…. 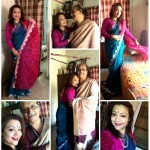 Hope one day when Orna & Urni will grow up they can remember this shoot and connect their Browni Masi with saree.